Santosh Pyakurel - How to Choose Major Subject? When it comes to the end of high school year, Most students would question themselves about what they want to do next in life. Some people would love to go to college or university while other would take a year or two off just wanting to find their own passion in life. When it comes to choosing a major to study in the University or College, some people would stress out because they do not know what they want or what major would suitable for them the most. Sometimes, they would just go and find advice from their parents, friends or their relatives. However, going to university is not something you could do based on other people’s opinion, but your own interest and your own passion. Thus, do you know what you are going to do in life already? 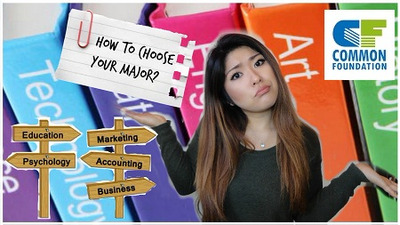 Do you know what you should think before you choose a major to study in college or university? The following ideas are the questions or things you should look into before picking up any faculty to study. After their graduation from high school, some people do not even know their own interest yet, and that the hardest moment when you have to decide. Some students would pick a major just because their parents recommend or because they want to be with their friends. But that is not the answer to your own self. You have to think critically about what you like and what you want the most in life. Follow your own heart. How much knowledge you know about that major? Knowing detail information about each and every major in school also the best way to find out about your inside interest. Sometimes, you did not realize what you would like to learn until you come across that particular subject which is provided in school. You had better look out for each major to get some idea about what it is. Then you also should touch upon courses that will be provided in the semester, because that will make you even clearer. After finding out the major you want to pursue already, another step is to ask yourself whether which school is best for your major. There are certain type of college or university which is well-known for some particular majors. Some schools would be best in business, but poor in any other department. Thus, you have to know which school is highly recommended for you. What is your expected career after your graduation? It is really important to ask yourself about your future career when you choose any major to study. This question also lie with the scale of job market in your country. They should also find out about their own interest in that job market, whether or not they really can do it most of their lifetime. Earning a degree in that might be hard, but working in the environment which you never want to do must be the hardest. In this stage, you really need some advice from people so that you have a better view of your chosen major. You may go and ask some people who have done this major before because they are the only person who know clearly about what is going on with the study. Of course, you also should go to some lecturer or professional advisers for some consultation. There are times when things just go wrong where you can never predict that. You have to understand and know much more about the society you live in nowadays. What demand job market are being competed by most people and what are not. Sometimes, you choose a very cool and nice major, but at the time of your graduation, the job market just change, and you would face with some difficulty for sure. Make sure you will not choose the right major, but in the wrong time. Till today, there have been 14891 visitors (24983 hits) on this page!